How do I duplicate pages? 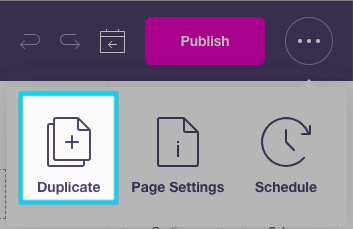 Learn how to duplicate standard, blog, and product pages in Shogun using the duplicate button and snippets. The "Duplicate" button lets you copy the contents of a standard or blog page into a new, unsaved page. This page can then be modified independently of the original page. This handy feature can save you a lot of time if you are creating multiple similar pages. You can find the Duplicate option by clicking the three-dot button in the upper-right corner of the editor. 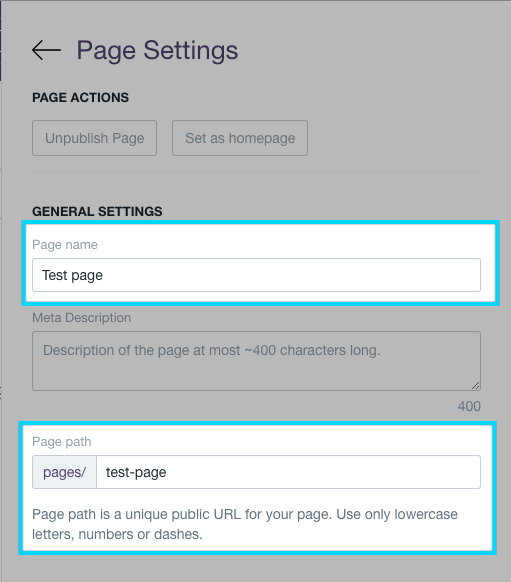 You will then need to name your page and add a path under "Page Settings". You can then save your newly duplicated page. Product pages cannot be duplicated in the same way because the product must first be established in the store's catalog. 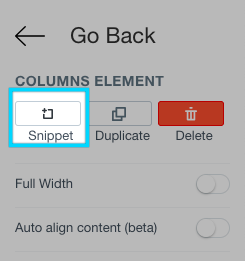 However, it possible to use the Snippet feature to copy your content from one product page to another. If the portion of the page you would like to copy is inside a Product Box, you can use the Layout tab to find and select the Product Box. Individual elements that are inside of a Product Box cannot be turned into a Snippet, but the entire Product Box can be.